Hi everyone, here are three Non-Fiction DVD recommendations with related Dewey Decimal System information — in case you want to browse through specific Dewey Decimal System sections in the print or DVD sections of the library! 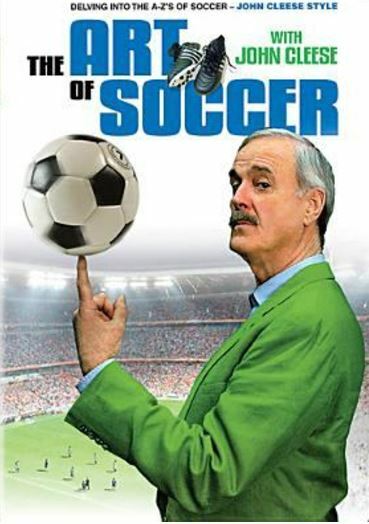 Description: Delving into the A-Z’s of Soccer John Cleese Style. Here and now for the first time is your comprehensive guide to the great game of soccer (also known as football). Comedy legend John Cleese hosts this A-Z look at soccer’s greatest kicks, goals, saves, bloopers, plays and penalties of all time, as well as soccer’s influence on culture (including the famous Monty Python sketch, Philosophy Football ). Featuring interviews with pop culture icons Dave Stewart, Dennis Hopper and Henry Kissinger, as well as soccer greats, including Pelé, Mia Hamm and Thierry Henry, The Art of Soccer is loaded with everything you could ever possibly want… and John Cleese. And as you’ve already guessed, if you want to find books and DVDs on the subject of soccer you want to look under the Dewey call number 796.334! Description: From the Emmy-winning team behind Planet Earth and The Blue Planet comes Frozen Planet, the epic tale of two disappearing wildernesses. The Arctic and Antarctic remain the greatest wildernesses on Earth. The scale and beauty of the scenery and the sheer power of the elements are unmatched anywhere else on our planet. And against all odds, these vast, frigid environments are teeming with life. Using the latest camera technology, Frozen Planet captures unimaginable imagery above and below the ice, and follows the extraordinary fluctuations that accompany the changes of seasons in this most extreme of environments, often for the first time. Frozen Planet takes you inside a polar bear’s den to witness a mother polar bear and her newborn cubs, showcases the thrilling hunting tactics employed by a pod of killer whales to launch a seal off an ice floe, uses time-lapse photography to allow you to witness the amazing underwater fauna thriving around Mr. Erebus, the world’s most southerly volcano, and much, much more. Using crystal clear high definition cinematography, Frozen Planet will open your eyes to the remarkable colors and variety of life in this frigid environment. With the Poles under grave threat from climate change, this extraordinary series provides a chance to explore these great wildernesses before they change forever. 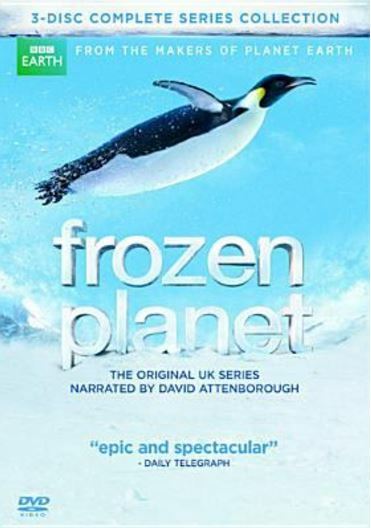 The Frozen Planet DVD and Blu-ray will feature the original BBC broadcast version, with narration by world-renowned naturalist David Attenborough (Planet Earth, Life, The Blue Planet). 910 is the Dewey Decimal System area for geography and travel. So if you’re looking for travel guides or materials that focus on different parts of geography, i.e. what different parts of the world are like in different categories including natural resources and population, you want to check out the 910’s! Description: Pete Seeger’s Rainbow Quest TV shows were originally aired in 1965-1966; they were released in VHS form by Cap Wineberger in 1985 on his Central Sun label. Now, after another 20 years, the best of these have been revived by Shanachie Records in DVD form, and they are wonderful additions to the rather limited library of old-time, country and Bluegrass music captured on film. The Johnny Cash/June Carter footage: it is fascinating, to say the least. 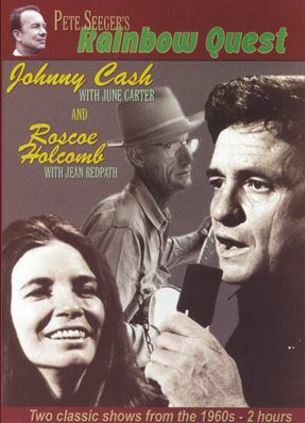 A very young Cash has lots to say along with his fine songs here, and June Carter just oozes the unique, ever-engaging Carter Family charm. The second hour of this disc is devoted to Roscoe Holcomb, who plays both banjo and guitar and sings in his powerful “high lonesome” style. He shares the show with Scottish folk singer Jean Redpath. Powerful stuff here, thankfully preserved! Review, which this typists agrees with whole heartedly, is taken from the countrysales.com site. 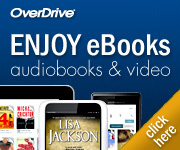 Books on different musical styles, bands, song books, guitars, drums, pianos, musical eras, i.e. 1960s, 1970s or 1980s can be found in the 780s – the Dewey Decimal System area for books relating to music! Dewey Decimal System Summaries. OCLC.